We have had some beautiful days here in Central Texas this week, many of them unseasonably warm. Most of them I had to spend inside a classroom attempting to teach young people the ins and outs of the English language and preparing them for state testing which is coming up in about a month. Thursday evening, my husband and I made it outside to sit at our outdoor table just in time to witness the most incredible sight. 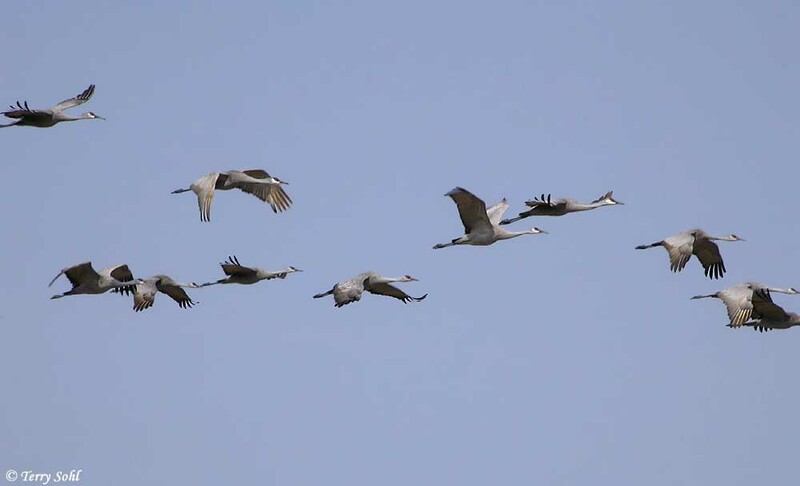 Three flocks of Sandhill Cranes flew right over us! These are BIG birds! Their wingspan is between 5 and 7 feet, and they weigh between 4 and 4.5 pounds. They soar through the sky, much like hawks and eagles. 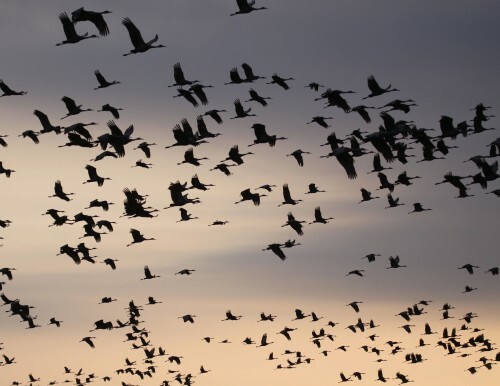 They flap, flap, flap and then soar, beautiful sight and makes one want to join them and try out flying. It’s no wonder someone wanted to invent a “flying machine”! These birds migrate south during the winter months, and Texas is south for them, so we have them here around us every winter. They like to land in fields and scavenge for insects and grains. Of course, farmers don’t like the birds if they have already planted something, but most of the fields are “resting” at the moment. Sandhill Cranes are the oldest known bird species still surviving. They are large with long necks and a gray body. The sound they make is what immediately catches a person’s attention. As soon as we had sat down, we heard this racket. It was a loud, rattling sound coming from the sky–difficult to describe. Heavy on the rattling, the sound went kar-r-r-o-o-o or something like that. We heard them first. Then, we looked up and there they were. Then, another flock and then another! Living in the country is the best!